The occupation of carrier can be very sacrificed, however, currently the guild begins to increase again, with companies seeking professionals for the carriage of goods by road, under conditions and salaries more favorable each day. In this way, the demand for these positions is growing considerably, being a job opportunity to take into account. In the event that you have truck in property, you can access a broader range of posts, and you’ll have win so much to the achievement of your goal. Find out about all the possibilities and applied to the company that better fits your needs as a truck driver. miscargas.com : If you have a truck in property, in this Web Site are responsible for putting in touch truck drivers and carriers with companies or users who need the service. uship.com/es : Similar to the above, incorporates an auction system where carriers or truck drivers bid for the loads or requests for services that make customers, with the peculiarity that it doesn’t have to win the auction the cheapest, but that has to be added to the price, quality, warranty, and above all the recommendations that may have given previous customers of your service. fretbay.com/es : This website is dedicated to the sale of transport throughout Europe. With a functionality similar to the above, its peculiarity lies in the fact that users are people from all over Europe, being able to find recruitment in both medium and long distances. In the stations, rest areas, restaurants and hotels of the main Spanish roads, there are notice boards where you can find ads where are required professional services of truck drivers for short or long travel. Another way to find employment as a truck driver may be resorting to specialized magazines of the sector; in publications such as com or Camión de actualidad among others, you can find this type of offers. Be original and walk away from the traditional curriculum, you can do so more visual through the inclusion of image or video, what more appealing to the potential contractor. Trust yourself, your possibilities and your ability as a driver. This will positively influence in the person you have in front of you. But above all, you must have a positive attitude, discouragement in the face of an attempt to search for work frustrated is the worst enemy that you can find, faces what comes of the most beneficial way for you, that momentum and attitude will multiply your chances of success. 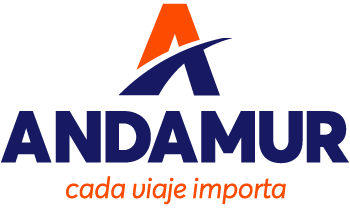 From Andamur we value this profession as it deserves, a guild to which we have been united for more than 30 years and for which we work day by day, offering the best services, facilities and solutions on the road. We look forward to welcoming you in our stations very soon!! !